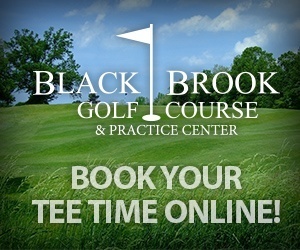 Black Brook Golf Course is a great place to schedule your next group event with an 18-hole course with watered fairways, cart paths, a new practice center, and a fully stocked pro-shop. Our staff will tailor your outing to meet your needs for breakfast, lunch or dinner. Golfers are served on our covered pavilion overlooking our famous 18th hole. To learn more about how we can help make your outing a very special event, please call (440) 951-0010. A minimum of 24 golfers is required for a Cookout Outing. A beverage cart is available for your Outing. A $100 deposit is required in advance for all Cookout Outings. All the food and beverages served during your Outing must be supplied by Black Brook Golf Course. All golfers are required to have a set of clubs. Sharing clubs is not permitted. Club rentals are available. Black Brook will hold all individuals liable for any damages to its property including power carts and grounds.